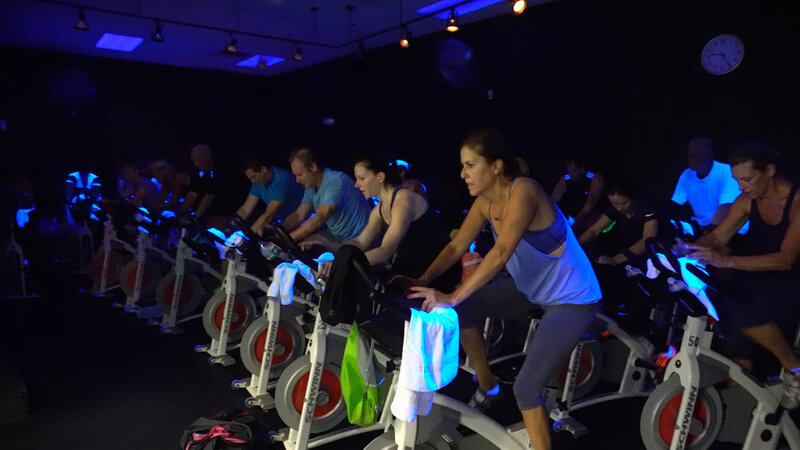 50 Indoor cycling bikes, a darkened room, and awesome audio add to an amazing indoor cycling experience. Take a journey with a certified instructor in The Ride or Les Mills RPM™ through hills, flats, mountain peaks, time trials and interval training. Bring water, grab a towel at the front desk, and discover your athlete within while you sweat and burn to reach your endorphin high. We recommend you get to class at least 5 minutes early so that an NJAC instructor can help get your bike set up for the ride of your life. Ride with us in this class which improves cardiovascular endurance and lower body strength. Black lights, a darkened room and awesome audio add to an extraordinary experience. 1 hr. Maximize your time with a 45 min. cycling class that puts the pedal to the metal. 45 min. It's been called a "rock concert on wheels." This class incorporates the best of biking choreography and great music to help improve endurance and increase lower body strength. 45-60 min.